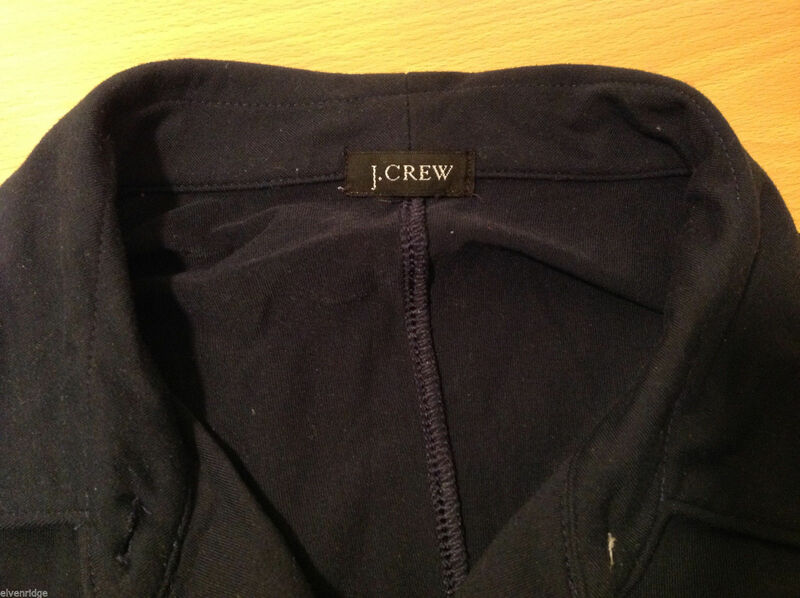 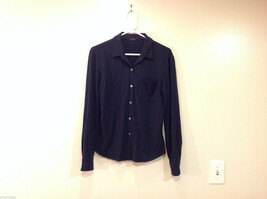 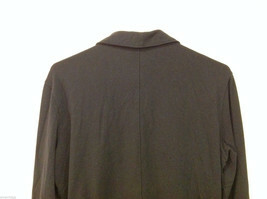 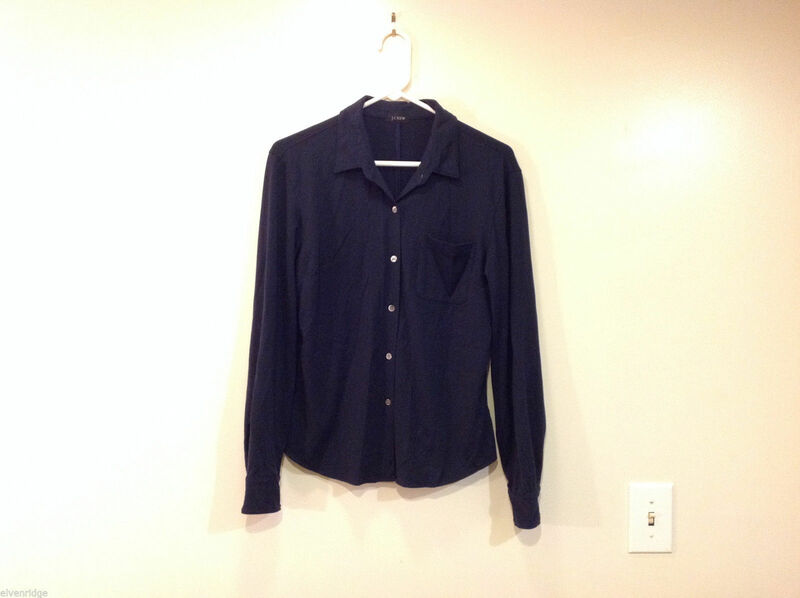 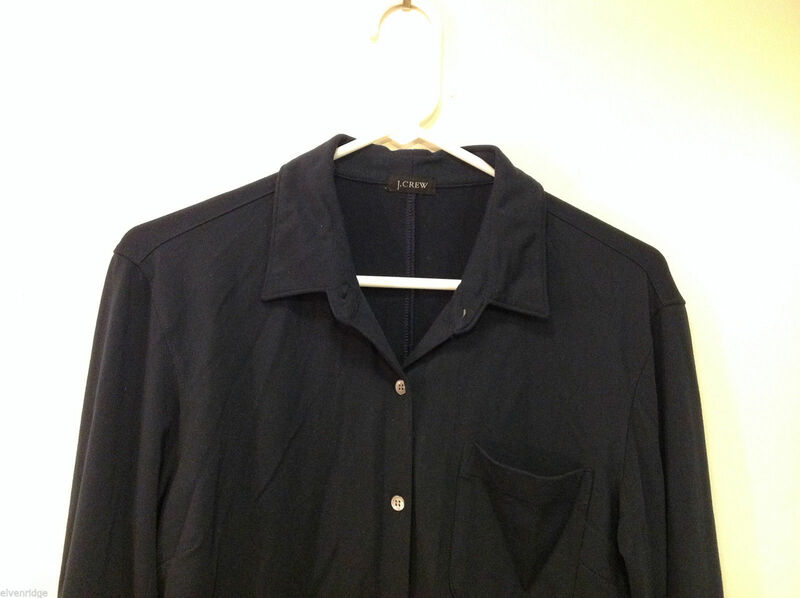 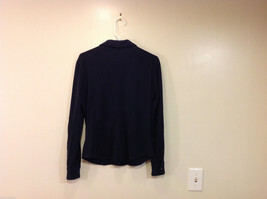 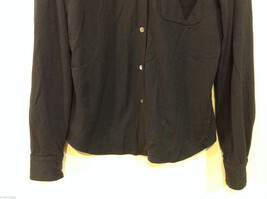 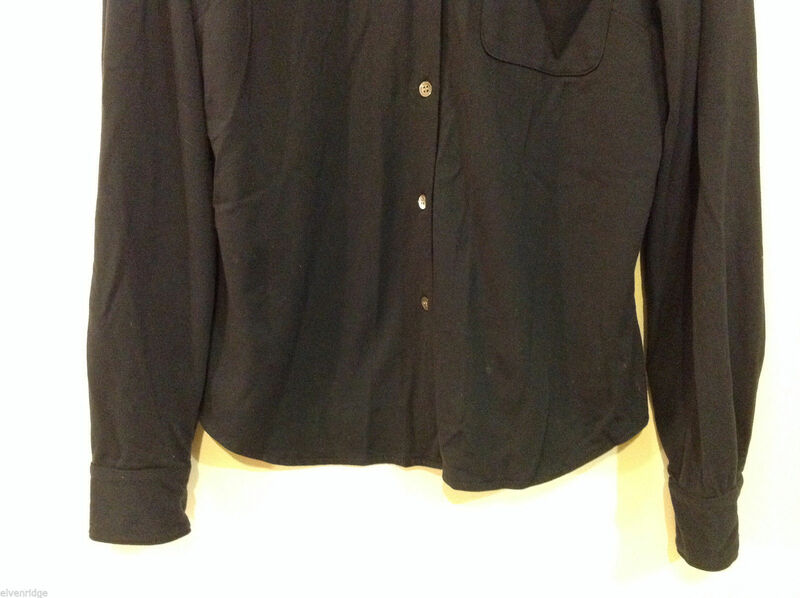 J.Crew Navy Blue almost Black Stretchy fabric Long Sleeve Shirt, no Size tag (see measurements below). 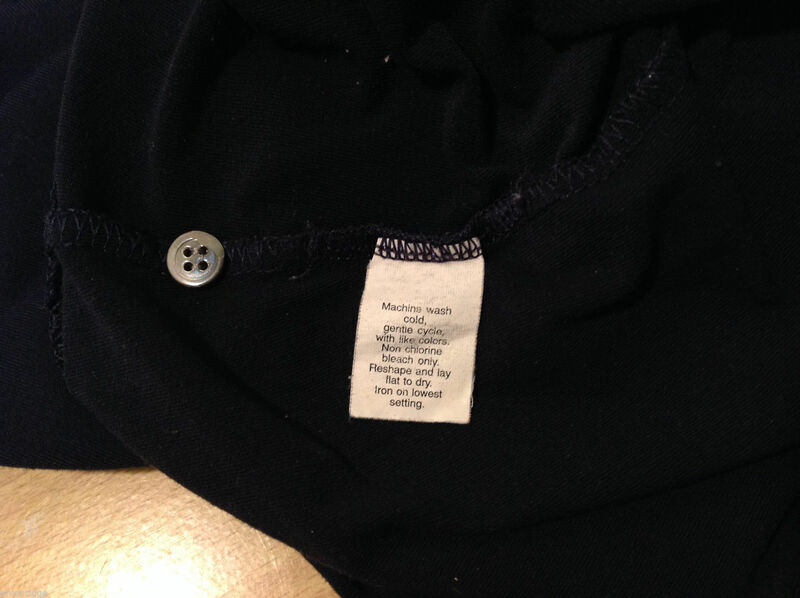 No fabric tag. 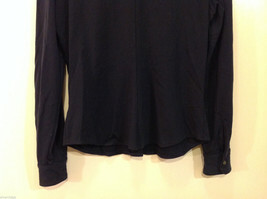 Fabric most likely polyester / spandex blend. 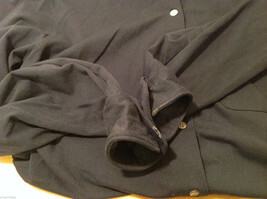 Front buttons. 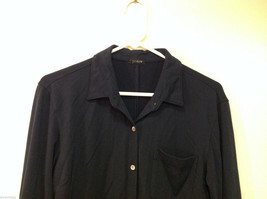 One front pocket.